The Turks, Central Asia, their tents are known for thousands of years of history since the earliest periods. Which is the subject of many research on this issue of Turkish tents, waterproof becomings, thermal insulation and eskimemesi many features, such as literature, history, and researchers in the world of science has become a topic of curiosity. The most glorious time of the sultans of the Ottoman Empire, especially in the years when they won the admiration of Europeans use otağlarla huge hair tents, a new source of income in recent years was in Aydın. Nomads living in the uplands of Anatolia, as well as culture and tradition of the plateaux of Aydin, to live up to the present day provided the art of hair tents. And tourism is becoming popular again in recent years, as well as local events to increase public debt. Aydin is a source of livelihood for the villagers, especially those living in the mountain villages of tents, traditional goat hair touches. 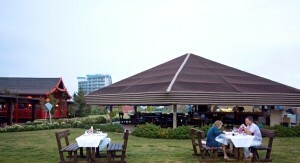 Various provinces, municipalities, tourism is not intense, associations, societies and communities Iftar tent, festival tent, catering tent ordered for purposes such as the use of these tents, hotels and resorts in tourist areas such as the plants are being ordered to by the Entertainment of tourists. In addition, pancakes, pastries, homemade food and local flavors, such as selling small tents for accommodation facilities, as well as a place of choice in this, way above cost, and nostalgic for places snacking has become an option. Aydin’s mountain villages are produced to order and the tents set up and taken to the four corners of Turkey, a variety of shapes and sizes can be. Which holds a hundred at a time to die, re-hair tent tradition of widespread source of livelihood, the cultural value and a great chance for survival. Thus, the province of Aydin province, besides being a producing food and agricultural products, which is part of the nomad culture thousands of years and which is identified with the Turks in Central Asia since the tents of hair-producing provinces and one of this production seems to have managed to spread. Sarıkeçililer, walking in the Taurus Mountains for thousands of years. One of the nomadic tribes of Anatolia, which is important, but with the increasing modernization Sarıkeçililer shrinking living spaces, cultures and life forms of the time resisting forced carries. They are children of nature. So they know the language they are based on nature’s best against tough conditions. Winter months in the Mediterranean, Mersin shores, the summer months in the plateaus of Konya and Karaman in this nomadic community who, despite bureaucratic obstacles and the various pressures are poised to continue migrating to live. Material used in the camp as a refuge of natural life. Tents are manufactured according to designs, materials and shapes are suitable for use in different weather conditions. Tents are grouped according to patterns in three ways. In addition, the number of people in each group will benefit from the tent, a tent will be established according to the duration of the region’s climate and effectiveness of different design and materials have produced models. 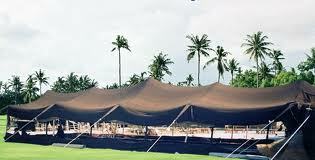 The hair tents in Arabia, especially in the hot desert environment with sand to prevent dust and also in terms of coolness provide is used as an essential need. In addition, Saudi Arabia and Turkey also are used for various purposes. Chief among these recreational facilities, as the east corner, hotels and restaurants, gardens, Ramadan Iftar tents and carpets to cover up the areas used for the purpose. Striking image of the hotel by a very affordable and are used to service customers. Features gained popularity in the summer fields. Tent of hair used to manufacture the power of the human hand and the long time spent yapılmakktaydı tezaghlarında. Tent of hair is no longer with the help of the emerging industry and textile machinery in factories with the help of automatic machines and manpower to weave again. Available in various sizes and shapes. In our country, especially in the Aegean and the Mediterranean region, manufacturing is still done on hand looms. There are factories in various provinces and districts of the same regions. Tents produced here and used to seeing in both domestic and foreign markets of interest. The hair or hair from his tent to tent, purchased, please contact us if you want to take advantage of the various places. Let us help you. Renting a tent is not the preferred method of hair. Such a method makes it impossible to select both the model and also to a certain extent, compels. Rent a tent of hair, the hair will remove the cost to buy his tent. Because the removal of the product used and need to be moved again. This also means more expense. Still, if you want to rent a tent and a hair simpler measures of transportation and installation / removal costs, keeping in mind the pre-order call us or fill in the form you can request us to call you. The hair can not be said to be a specific price for a tent. The material used for labor and transportation costs affect the price of hair tent setup. Tent of the proposed location and dimensions of the hair pre-order form and tell us your home city, we will help you to communicate instantly, whether the price and time. Decide whether designs. Viziers tent off. Very few mast sited in a large area, such as the sultan in tents, outside the walls and ceilings are decorated with embroidered sayebanlar made ​​of two layers of fabric, a great tent with windows and curtains. Surrounded by a curtain made ​​of canvas covered with a challenge which is forbidden to see or even be entered into the form. 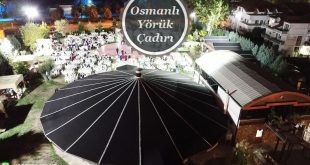 In this tent, the grand vizier, and Sardar-i ekremler (başkumandanlar) make the meeting, are present on admission to the official. War talks are planned here, banquets given here, statesmen, was considered here. In this tent, the sultan’s tent in an intermediate canvas would be relative. In the past only with the help of ropes and poles, especially where the shepherds migrate hair tents formed simply by using different materials in a professional manner no longer adapted to the desired place. You think that such a decoration, an apparently different büründürmek mekanınızı even if you are interested, please leave your information will contact you immediately. Rooms are very commonly found in eastern Anatolia at the time as a guest room, these rooms are designed and their guests were welcomed in the household. Günümüzdede for entertaining guests at home, have each orient to the location of rooms in homes almaktadır.Odanın 3 wall before slowly placing the sofa cushions on the sofa pillow and some are created by putting Çerçiler. hand-made carpets or rugs in the middle, to give her the middle and in the jug, glass water pipe and put ashtrays on request ready for the interior. Wall kısımlarınada gas lamp on request, library, binding, oriental room is complemented with a beautiful table decorations, etc..
Tent of hair used to manufacture the power of the human hand and the long time spent yapılmakktaydı tezaghlarında. Tent of hair is no longer with the help of the emerging industry and textile machinery in factories with the help of automatic machines and manpower to weave again. Available in various sizes and shapes. In our country, especially in the Aegean and the Mediterranean region, manufacturing is still done on hand looms. There are factories in various provinces and districts of the same regions. Tents produced here and used to seeing in both domestic and foreign markets of interest. Our company is available on all models as a range of tents have been manufacturing our tabirimizle hair tent. To place the desired shapes and sizes, all kinds of tents and coverings can be done. In general, municipal Iftar tents, tent over carpet area, restaurant or cafe, or east corner of the tent for the Nomad is available in places such as the user. Hotels, recreation facilities, also can be used for various purposes. Especially nice is it preferable in terms of image and give an air of history. Otherwise the cost of materials can be provided more cheaply. Given all these are an indispensable accessory for the hair tent, and many place deserves to be a variety of decoration. The way to the harbor from the center of Kaleköy nomad tent, around the new almond, you will encounter on the highway. Anatolia, but the gigantic, old-time hair tents. Decorative articles are collected in various regions of Anatolia. Specific name of clothes on display on the nomads. Place cushions or oturabiliyorsunuz normal tables. Menu has all kinds of food. Observe the drop-down hair, especially from roasting and tasted. Playing in the tent, live music on special occasions. Halay captured, defeated a space becomes drunk. 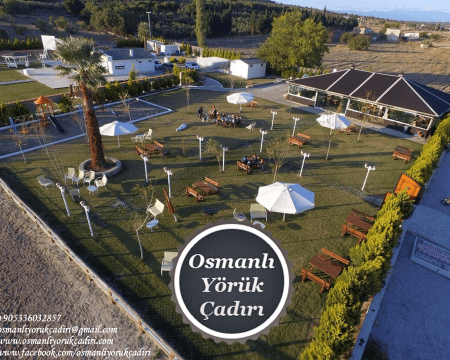 Hair nomad tents, Fethiye is a place where the pearl Çalış’da definitely worth seeing. Anything and everything possible to see the beauty of nomad tents. 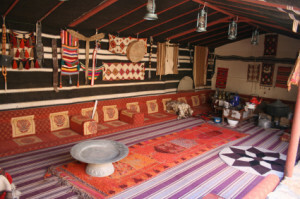 Nomad home village museum, the old crafts, all the materials our ancestors used it is possible to see that. 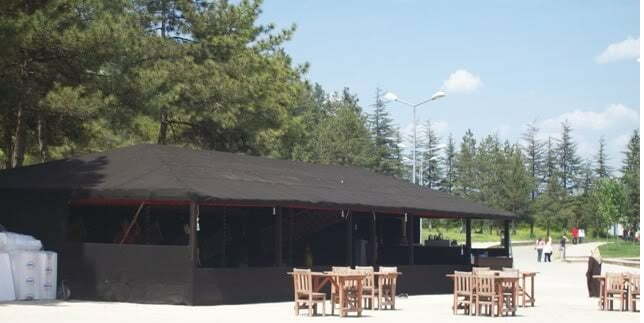 In addition, the famous nomad nomad tents roasting, ply, buttermilk, höşmerim, tarhana, Nomad kebab, mountain tea, Turkish coffee is a delicious cold – hot drinks and snacks are offered in accordance with your taste. Nomadic and Village Day breakfast, two wall of Anatolia over the side of the two wall pretty nice evening full of love, loving, yearning, full of enthusiasm, full of love songs and spend a pleasant time. Mekanımıza valuable to see in the pictures with your family is a place where you can sit in comfort and serenity. Mango Nomad Tent, where you can find reflections of our culture’s most beautiful, warm and rich flavors of Turkish cuisine in an environment where you can taste decent, again met with the compassion of nature doğmuşçasına relax, friendly, warm and friendly atmosphere await you. When you come to the Tent of the unique culture of nomadic Turks mango motifs and fine-tunes Anadolumuzun of village life and identified with us for many years you will see a good example of Turkish hospitality. Here you will forget worries, you will experience your childhood. Here you will make a short trip date, you will have the privilege of eating. Drawback to pass without us. Privilege to get to know us and our services. All models on this page and you can set up the model-style tents. We have tents setup all over Turkey. Hair (nomad) What is the Tent? Nomad tent hair done. The hair, goat tüyüdür. Goat hair twisted before this is done after kırkıldıktan. Then the arms can be installed and kirmenlerle burmalar curve. The resulting twisted ropes. Bending, two-rope with each other, wandering around the kalınlaştırılmasıdır. A tent will be at least 70-80 pounds in weight. Twisted ropes, brought ısdarda touch format. Then up to a meter wide, up to 5-6 meters in length, we know ısdarlarda touches in the form of allowances. Yörükte ısdarı women incessantly. Nomadic women folk of this struc struc dokudukları runners ‘wing’ is called. One tent for at least five, according to the size of the tent is six or seven wing. These wings are brought side by side and sewed. Business does not stop there. After planting the so-called roof of the tent, round thirty-four inches wide, woven from the leaves, another piece is added firmly. This ‘siğeç’ is called. Furthermore, a bit more similar to bonds esnetmemesi tent, the tent in front of the back of each pole to be erected according to the state a bit more. Costing you let us know you want to measure and model. We have setup all of Turkey. You want a different look as soon as possible kavuşturun mekanınızı. Recently, places used for decoration of hair (nomad) tent can be installed in various models and sizes. 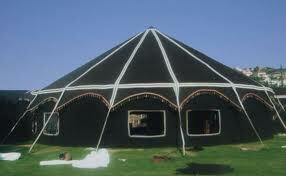 Whether you want a flat black or white motifs as the tents dokunabilen prices varied according to the material used and the motif. 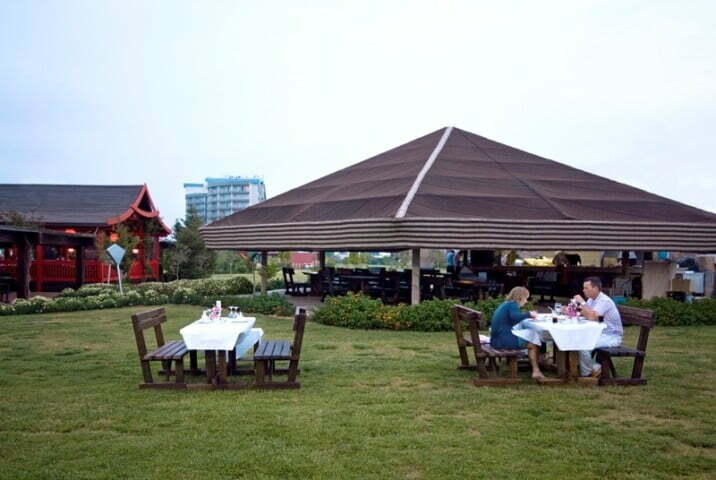 Garden decorating restaurants and hotels, especially those parts of the tents and space for an authentic look and can provide freshness and coolness. Durability of the tents used in desert climates, especially with the attention. Although easy to establish a simple business sense, a little bit harder When it comes to venue decoration. The competence of persons experienced in this field so I need to set up this tent. Otherwise, unwanted accidents and difficulties can be experienced. The hair is no longer a tent can be obtained easily. According to the type of tent is a very reasonable price that allows both natural and widely produced in the hair tent, especially in the Aegean. Your hair also mekanınızda or home garden (nomad) tent if you have ideas for using the hair tent can be obtained by contacting us. If you want we are doing the installation. 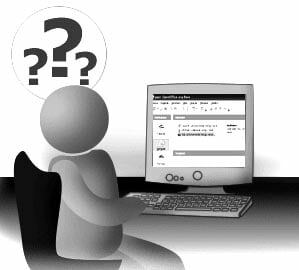 Reach the information you give us your information instantly by clicking here. Operating in the town of Denizli Acipayam Girenizliler Association, the hair on the roof of a house due to financial difficulties in the tent serving. Acipayam Girenizliler Association, the address where the owner declared, “I’ll open the shop, empty.” tell him that called itself a new office. Due to the high rents could not find a place within the means. Buldan in Denizli, Serınhısar, Yata, Yeşılyuva, Kizilcabölük, Nikfer (Host), red pine, and Beyağaç Saraykoy municipalities, Bayramyerı Square regions of the hair has introduced up tents. Tourism Week was celebrated from April 15 to 22. Celebration committee members after the visit of the Governor Hasan Canpolat and Mayor Nihat Zeybekçi’yi Bayramyeri’nde ceremony began weeks activities. Usak for nearly 30 years engaged in the production of hair tent tent company in Saudi Arabia, Syria and Jordan, the Arab countries, such as a $ 3 million per year is exported to a tent. Butler in the field of urban regeneration and mixed-organized industrial zone in the old tannery in the company engaged in the production of two plants within the tent of goat hair and polyester employs 50 people. 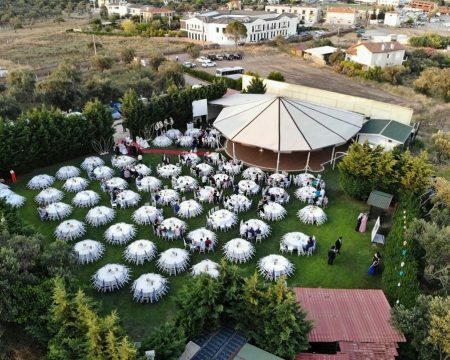 Motif consisting of 12 different hair tents in the domestic market in Saudi Arabia, Syria and Jordan say they have exported to Arab countries such as the Chairman of the Board of Directors Hope King, one of the 5 factories in Turkey said that they were engaged in the production of hair tent. Organized by the Public Education Center and ÇATOM Kermes had great interest in the Common. 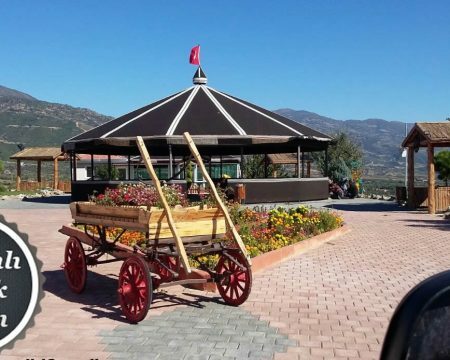 Sirnak, at the foot of Mount Kato Beytüssebap District Adult Education Center and the Multi-Purpose Community Centre (ÇATOM) ‘s co-organized bazaars attracted great attention. Mount Kato eteklerinade Beytüssebap District Community Education Center located on the ÇATOM people held a bazaar under the name of the garden of Government House. Kermes joined Governor Karataşoğlu Soner, BDP’li Mayor Joseph Foundation, the Public Prosecutor Zafen Salan, Tactical Regiment Commander Colonel Alpaslan Kaus, head of security of the feast of the consent of the land and ate together in the tent of hair. Young girls wore colorful clothing kermeste region, the students prepared skits and theatrical performances played before, bazaars, fairs was like. Türkmenuşağı Peasants, the funeral prayers, they collect money among themselves, with the center, calling their imam Makes hair tent. Silifke district schools, health stations, mosques, cafes, grocery store, in the village of Türkmenuşağı citizens do not have irrigation water, even in the funeral prayers in a center with the money they collected among themselves calling their imam makes the hair tent. Emerged to meet the needs of people, natural conditions, way of life characteristics and climate factors such as cultural diversity who have shown an important feature of crafts in and around Aydin. Some of the handicrafts, embroidery, hair weaving, pottery making, saddle, and if the producer and the wicker-weaving. Never induce the importance of industrialization in the region as a result of kuşamda fabrics used in clothing, hand-woven carpets, rugs and bags is famous for their unique embroidery and colors. Nomad woven sacks with sumac technique is the area’s unique features. Aydin example of the ongoing traditional weaving hair tents cover the construction of which is suitable for all weather conditions. Raw material for weaving goat hair bristle. Obtained from the bristles are cut once a year, the goats’ hair shearing “is called. Derilerindeki goat hairs from the bristles to the tanneries tabaklanarak the “hair plates” are called. Shepherds, weavers, and their hair, hand taraklarında tanneries and scanning machines to clear the tiftiklerini aside what makes the hairs on the reels by twisting rope. In general, women from the ropes by this process, “gazıl” is called. Gazıllar looms by men, by tapping the Harar, sacks, saddlebags, at discharge, girth, Culum camels, tents, oil bags, flour sacks, feed bags are. Today, agriculture mechanization and expansion of the plastic raw material products decreased as a result of the interest in these products. Tent of hair weaving district Olukbaşı Bozdogan, Mulberry and Kizilca villages are densely. The Epic of Ergenekon, a large part of the Turkish epic. Root-Turks is about age. Ergenekon Epic, a separate and has a distinguished place in the Turkish epics, is one of the largest Turkish epics. Ergenekon Epic, as in effect for centuries in the life of Turkish society, even today, the mountainous villages of Anatolia, a number of effects can be seen the customs and traditions.